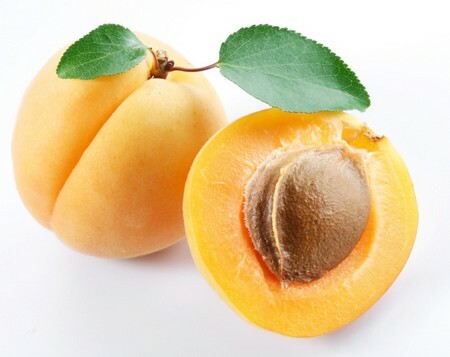 Apricot is a golden-orange colored fruit with a delicate flavor and velvety skin. It is an excellent source of vitamin A and beta carotene. These compounds are beneficial for your eyes. Plus, the fruit is rich in potassium and soluble fiber. Moreover, it is packed with antioxidants and cancer-fighting nutrients. It contains carotenoids such as Zeaxanthin and Lycopene. Zeaxanthin assists in protecting against age-related macular degeneration. Lycopene, the bright red carotenoid, on the other hand, protects against heart disease by reducing LDL cholesterol. It also boosts the immune system, and fights breast cancer and prostate cancer. Besides, this cholesterol-free fruit, related to the Peach family, is high in sugar but low in calories. In addition, it is a good source of vitamin C and does not contain sodium. You can have fresh, dried, or canned apricots to derive their nutritional benefits. In fact, canned apricots have a higher amount of beta-carotene than raw apricots. Furthermore, dried apricots are rich in lycopene. This fruit, however, is not suitable for juicing. Apricots are considered good for cardiovascular health. As already mentioned, they are excellent for your eyes, too. In addition, they detoxify the blood, aid in digestion, and relieve constipation. Furthermore, the iron and copper present in this fruit help in the formation of hemoglobin. Plus, being high in potassium, apricots help lower high blood pressure. Plus, they are helpful in the treatment of Alzheimer’s disease and memory loss. It is believed that apricots can cure problems like bleeding, infertility, spasms, and so on. Fresh as well as dried apricots can be used to get rid of dry cough. Besides, this low-calorie fruit is useful in maintaining a healthy weight by facilitating weight loss. Moreover, you can use apricot kernel oil for skin care and to reduce issues like itching and irritation caused by eczema. Apricot oil is believed to have anti-asthmatic properties, too. When purchasing apricots, it is suggested to pick the fruits that are plump, firm, yet slightly soft. They should be fully ripened, uniformly colored, and small to medium in size. So, choose the ones that are deep orange or yellow-orange rather than pale yellow. You can store fresh apricots in the refrigerator for a couple of weeks. Before eating the fruit, make sure you wash it thoroughly with plenty of cold water. In case you have unripe apricots then you may place them in a paper bag and keep it at room temperature (away from direct sunlight) for 2-3 days. Finally, store them in the refrigerator when they ripen. Green-tinted apricots, however, are not likely to ripen further. If you have over ripe apricots that are soft and mushy, you can make jam or fruit leather with them. When purchasing canned apricots prefer to buy those packed in unsweetened fruit juice or lightly sweetened juice and water. Having consumed the canned fruits, you can thicken the remaining juice with corn starch, and use it as a fruit sauce for your pancakes. There are no known side effects of this fruit. People even consume apricot kernels. In fact, though not proven, it is believed that amygdalin present in the kernels can prevent and treat cancer. The tip of the seed of an apricot, however, contains laetrile or vitamin B 17 that leads to upset stomach. Thus, it is recommended to cut off the tips of the seeds before consuming the kernels. Do not consume apricot kernels in excess, though, as it may cause cyanide poisoning. Besides, in the process of getting dried apricots, these fruits are often treated with sulfur dioxide, which is a respiratory irritant. Thus, individuals suffering from asthma should opt for sulfate-free dried apricots.